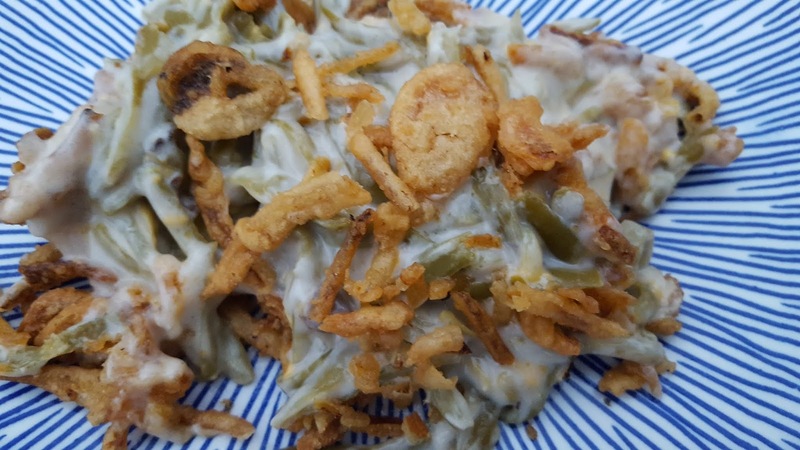 We love classic green bean casserole - this is my version of it. We prefer the french style green beans, lots of creamy cheesy sauce, and a wonderful crunchy fried onion topping. This is our go-to side dish at Thanksgiving time, or really whenever something like a roasted turkey graces our dinner table (which is typically Thanksgiving and once or twice throughout the year to use the extra turkeys we bought on sale at Thanksgiving time). This is definitely a "Holiday side" staple in our house! 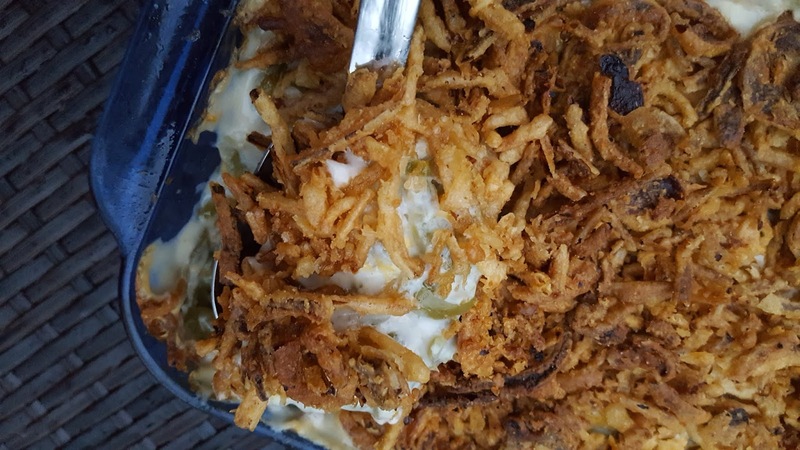 If you're not a huge fan of the crunchy onion topping - you can always use less, or use something like crushed chips or crackers on top of yours if you still want a crunchy topping. Sometimes I like throwing in a teaspoon of garlic powder too, for a little garlic zip! A drained can of mushroom pieces is a nice addition too, for a little more texture variation in the dish. Preheat oven to 350 degrees. Spray a 2-quart casserole dish with non-stick cooking spray. 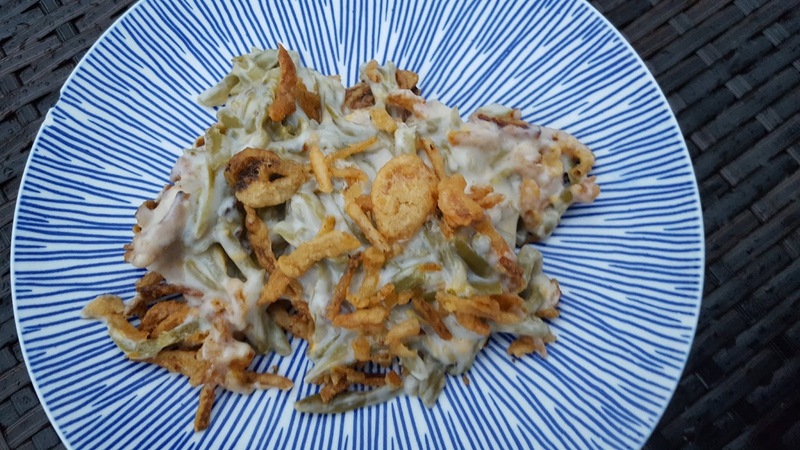 Pour the drained green beans into the casserole dish, along with the cream of mushroom soup and cheddar cheese. Gently stir together to combine. 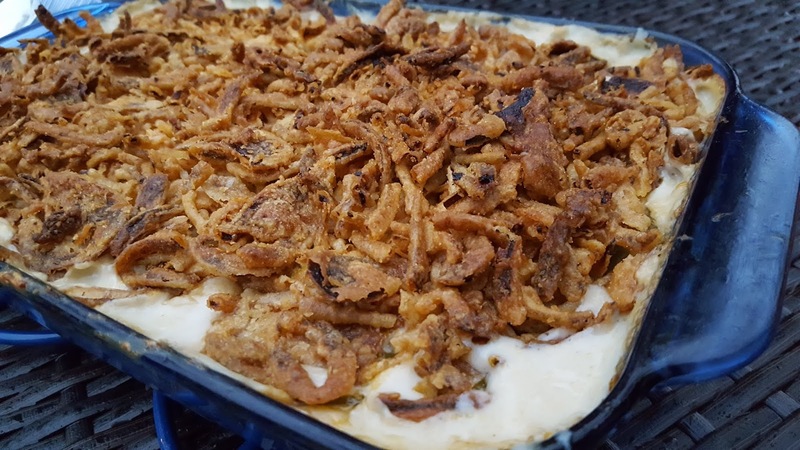 Sprinkle the French's fried onions evenly over the top and place in pre-heated oven. Bake 30 minutes, or until casserole is heated through and bubbly, and onions are crisped and golden.